Manufacturers finally decided to get a bit different in 2017. Last year, we came up with a list of our favorite car colors that were available in 2016. Now that 2017 is almost over we wanted to look back on the interesting paint colors that wowed us over the year. Only one car from last year's list made it onto this year's. The rest of the paint colors were found on brand-new models that weren't even available last year. We like to see the turnover because it shows that the industry isn't just content to do the same thing over and over. 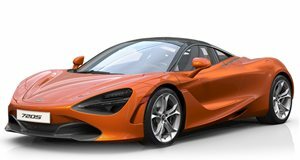 When McLaren first revealed the configurator for the new 720S, it showed off a bespoke model from McLaren Special Operations. This bespoke model was called the 720S Velocity, and it blended Nerello Red carbon fiber bodywork at the front with Volcano Red at the back and sides. This combination creates a truly unique looks that really makes the 720S pop. The 720S comes in a variety of amazing colors that could have made our list, but sadly we could only choose one. Our second color also comes from a British automaker that could easily have had more than one color appear on this list. Aston Martin made headlines this year by releasing the new Vantage in a blinding shade called Lime Essence. While this color certainly grabbed our attention, it wouldn't be our first choice for a gentleman's sports car. 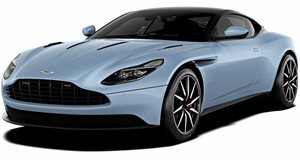 That is why we decided on Ocellus Teal, a lovely shade of blue on the DB11. We think that this color is very vibrant, but it doesn't stick out too much on what is meant to be a low key grand tourer. The Dodge Challenger/Charger is the only model on this list that carries over from 2016. 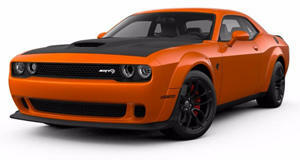 Dodge has been known to offer some of the most badass colors on the market that go well with badass models like the Hellcat. For 2017, Dodge offered a new color on the Charger and Challenger called Destroyer Grey. This is a flat grey color that is very much like Ford's Avalanche Grey or Audi's Nardo Grey. Flat grey is a very popular color right now, because it stays clean, looks cool, but isn't too outlandish. Of course, Dodge also gave its color an awesome name to go along with some of its best color names like Plum Crazy Purple. In almost every press photo that we saw for the Alfa Romeo Giulia, it was painted red. This quickly became the signature color for the car. When the company revealed the Giulia Veloce, it showed it off in a lovely color called Misano Blue. This color has quickly become one of our favorites this year. 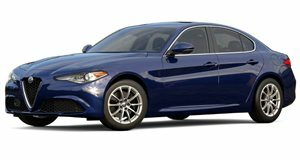 Misano Blue is now available on the standard Giulia as well as the Quadrifoglio for just $600 extra. This lovely hue can also be ordered on the Stelvio, so even your SUV can look gorgeous. 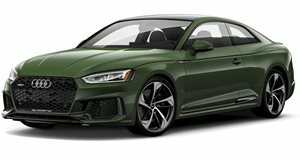 The final color on our list is called Sonoma Green, and it comes on the new Audi RS5. Audi has come up with dozens of cool colors over the years, many of which can be special ordered for a cost. Many automakers have been making cool shades of red, blue and grey, but hardly any companies have been focusing on green. A few supercar companies like to use bright greens, but Audi has created a lovely dark green for the RS5. We think that Sonoma Green looks fantastic and we'd order it in a heartbeat. What were your favorite colors of 2017? Did we miss one of your favorites? Let us know in the comments.